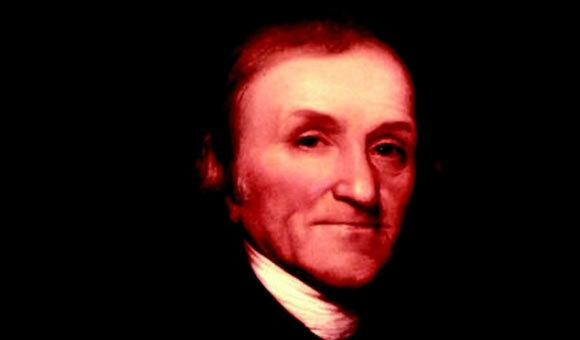 Joseph Priestley was an English theologian and philosopher who is widely credited with the discovery of oxygen. He was born near Yorkshire in 1733. His family were English Dissenters, who did not conform to the Church of England. His father was a cloth dresser and due to financial difficulties, Priestley was sent to live with his grandfather at the age of one. His mother died when Priestley was six years old. He returned home upon his mother’s death but later went to live with his aunt and uncle upon his father’s remarriage. His aunt sent him to local schools to learn Greek, Latin and Hebrew. He also learnt German, Italian, French, Syrian, Chaldean, and Arabic as well as mathematics, natural philosophy, logic, and metaphysics with the help of his teachers and by reading the works of earlier philosophers and scientists. He attended the Dissenting Academy at Daventry, where he spent four years continuing his intense studies. In 1755, after leaving the academy, he became a minister at a small parish in Suffolk. In 1761, he became a tutor at the Warrington Academy in Lancashire and in 1762, he married Mary Wilkinson. Priestley’s reputation grew as he began publishing more works and conducting experiments with electricity. Some of his books include “The Scripture Doctrine of Remission” (published in 1755), “Chart of Biography” (published in 1765) which won him a doctorate of laws from the University of Edinburgh, and “The History and Present State of Electricity, with original Experiments” (published in 1767). In 1766, he was inducted into the Royal Society for his work on electricity. Here, he became good friends with Benjamin Franklin, who encouraged him to pursue further work in science and politics. Priestley discovered Oxygen while experimenting in his laboratory. On 1 August 1774, he heated red mercuric oxide which resulted in the release of oxygen. He presented a paper called “On Different Kinds of Air” to the Royal Society and later “Experiments and Observations on Different Kinds of Air”. He made it clear that air itself was not an element and he studied the different properties of oxygen and its importance in combustion. He contributed to our knowledge regarding photosynthesis and respiration. He also developed a method of making carbonated water which was useful for preventing scurvy among sailors on long sea voyages. Priestley discovered 10 new gases including nitric oxide, nitrogen dioxide, nitrous oxide (also known as laughing gas), hydrogen chloride, ammonia, sulfur dioxide, silicon tetrafluoride, nitrogen (which he called phlogisticated air), oxygen (which he called dephlogisticated air), and carbon monoxide. One of the biggest contributing factors to his success was his ability to design original scientific apparatus to aid his work. He also discovered which gases were soluble in water. For his contribution towards the study of gases, the Royal Society awarded him the Copley Medal in 1773. Many of Joseph Priestley’s publications and ideas brought much hostility towards him and his family. His books such as “The History of the Corruptions of Christianity” and “History of Early Opinions Concerning Jesus Christ” made him unpopular among the government as well as the monarchy. An angry mob attacked and burned his house and laboratory in reaction to one of his publications, and Priestley eventually moved to America with his family. He declined an offer of a teaching position at the University of Pennsylvania in Philadelphia, and moved to a remote area of Northumberland where he continued his research and founded the Unitarian Church in the United States. He died at his home in Northumberland in 1804 at the age of 72.